Every child deserves a grandparent who will love unconditionally, and every grandparent needs the opportunity to love and be loved. While it may not take an entire village to raise a child, it certainly takes a loving family. Grandparents are a crucial ingredient in the family mix. They have a unique connection to their grandchildren and a wealth of gifts, talents and wisdom to share with them. For many families, family life is spinning out of control. Parents are increasingly busy, and family life is more often like a pressure cooker than a warm, bubbly stew. The demands of dual careers and an abundance of outside activities leave far too little parent-child time. Grandparents can make a huge difference to these busy families. Grandparents have many things to teach their grandchildren, both by their modeling and their mentoring. Having lived many years and experienced a great deal, their knowledge can ease and enrich their grandchildren’s lives in a variety of ways. Grandparents are powerful models for their grandchildren, and their actions and example often speak louder than their words. From grandparents, children learn both attitudes and values. Grandparents show grandchildren how to be good citizens; they are witnesses to their faith; and they are models for aging. Their very presence exposes children to the seasons of life and teaches them respect for other ages and stages of life. Grandparents are made-to-order mentors. They have a storehouse of wisdom to share. Over the years, they have honed their gifts and talents, learned valuable skills and developed interests that are advantageous, educational and beneficial to their grandchildren. Their life experience can guide and teach their grandchildren. 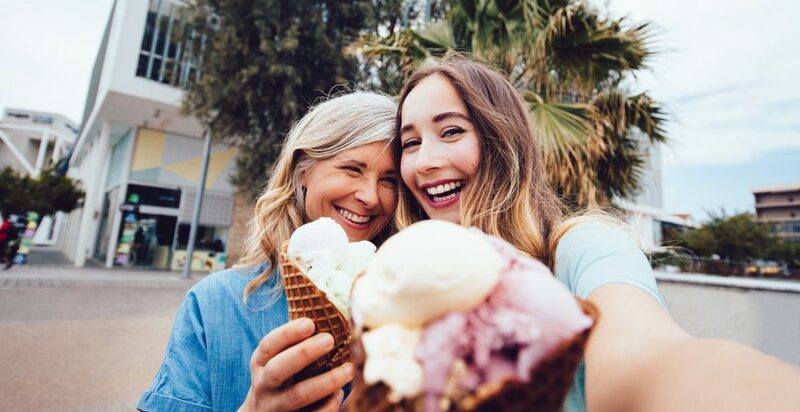 Grandparents mentor grandchildren when they share a skill or new activity, such as baking cookies, knitting a scarf, building a birdhouse, visiting a museum, or taking a nature walk. Grandparents have an abundance of experience, which they often take for granted, and they almost always have more time than parents. Most grandchildren welcome the opportunity to try something new with a grandparent. Grandparents are ideal memory-makers. By spending time and mentoring their grandchildren, they can build valuable memories that will last a lifetime. They don’t need a trip to Disneyland to do so, but they do need a willingness to share their time and talent. If you are a grandparent who wants to try something new, birthdays and holidays are opportune times. Consider making a birthday banner which the grandkids might even help create. Make one-of-a-kind personalized birthday cards with a picture of the birthday child. Give gift certificates for overnights at grandma’s and grandpa’s house or a special date. Write a letter to your grandchild explaining your excitement when he or she was born. Take your grandchild on a memorable trip or adventure for a milestone birthday. Organizing an annual cousins’ camp or family reunion at the grandparents’ house or an away-place is a sure way to build memories. Design a family T-shirt for everyone, establish special games and activities such as a scavenger hunt, bingo game or tug-of-war that can be repeated year after year. Make special foods. Another ongoing memory-maker is to create a family calendar each year with pictures of the family and birthdays highlighted. Invite grandchildren and their parents to submit family photos. Grandparents can build memories by working on a joint project or developing a mutual hobby like stamp or coin collecting. Grandkids who are into sports love to have their grandparents follow the same sports teams and compare notes. Today, fewer and fewer grandparents and grandchildren live in the same community. A great many of the more than 70 million grandparents in the U.S. are long-distance grandparents. Both parents and grandparents must be creative to keep the two grands connected. E-mail, skype, texting, cell phones and snail mail become important avenues for staying in touch. The lines of communication can be kept open by sending stories, jokes, riddles or creating an on-going tale by e-mail. One grandmother’s newsy letters to her grandchildren, about God, nature, and everyday family happenings, became a book: “Letters to Grand Children” by Elaine Mayer was published in 2009 by Trafford. Grandparents are unique models and mentors. The ages of their grandchildren will determine the experiences, actitivies and adventures that can be shared. As children grow out of some activities, they will grow into others. Interaction with their grandparents is bound to enrich their lives and leave them with a storehouse of unforgettable memories. This article is based on a chapter from the Aitchisons’ small-group discussion-program, “The Grand Adventure – A New Call to Grandparenting.” More information about this 6-session program, published electronically by The Christian Family Movement, is available on the CFM website.